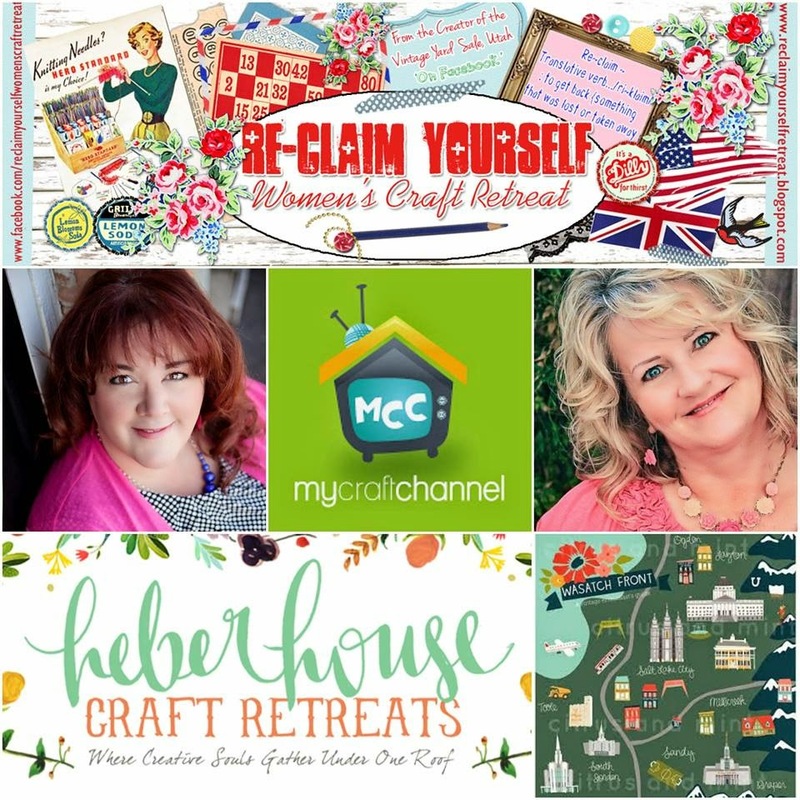 Join us at this amazing new Reclaim Yourself Women's CRAFT RETREAT here in Utah this June. My Craft Channel is a sponsor of this amazing event. It's small, personal and made for you. No cooking, cleaning and plenty of crafting, thrifting and laughter!! There's only FIVE spots left, so hurry and book your spot before it's filled. For more information and to purchase your spot, contact Christine at reclaimyourselfretreat@gmail.com or call 801-380-1360.